From time to time, one of Google's apps will suddenly drop a significant amount of weight. This time it's the Google Home app. 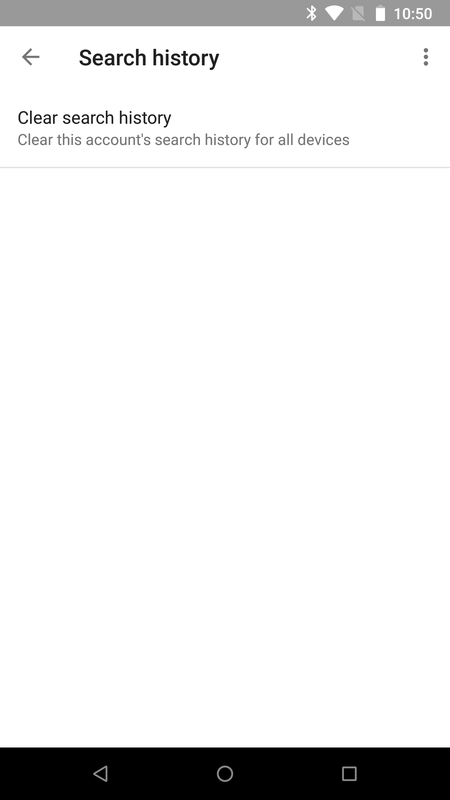 It's losing nearly a third of its size, going from 25.2MB down to 17.8MB. From looking through the teardown, it seems like most of the savings came from eliminating unused images and other resources. Sure, now that many phones are sold in 64GB or 128GB storage capacities, we're probably not fretting over 7MB, but remember that it also means there's less data transmitted with each update. Small amounts can add up over time. One thing most people probably won't miss is the Shopping List link in the nav drawer. It appears to have been dropped from the latest version. As many readers know, tapping on this option simply loaded a web page rather than a native function in an app. 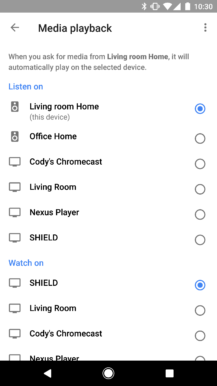 Since this list is accessible from the Google app, there may not have been much need for it in the Home app. 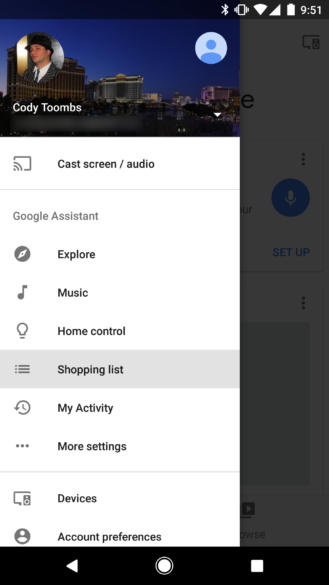 You can also find a link to the shopping list by opening the device settings on anything equipped with Google Assistant. Not too long ago, Google added the ability to set preferred output devices for audio and video playback for stationary Assistant-enabled devices (e.g. Google Home). In the latest update, there's a relatively small tweak to how these settings now look. 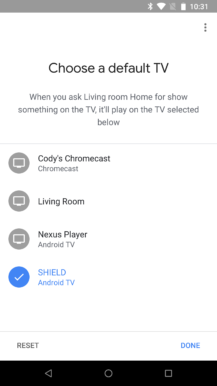 Instead of a single entry in the Device Settings page, there are now two. Cosmetic changes were also made to the newly separated selection screens. 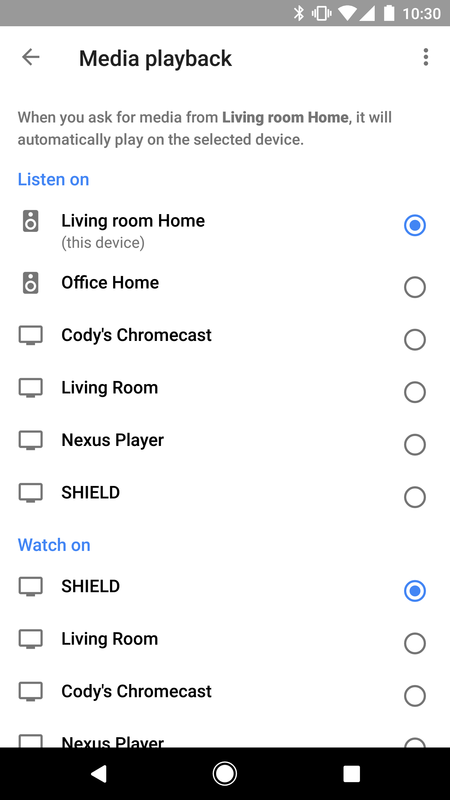 Your list of devices now has a larger layout and is slightly more descriptive about the types of devices that are listed. 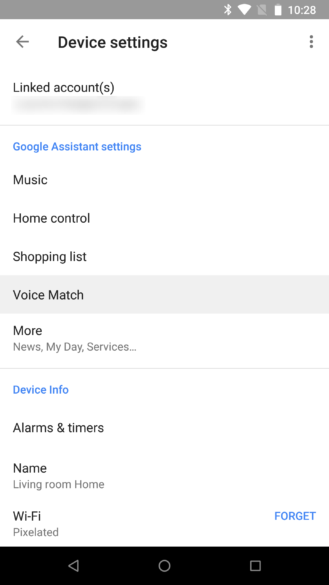 There's not much to say here, you can now find a link to the Voice Match settings in the Device settings page for any Google Assistant-enabled products. 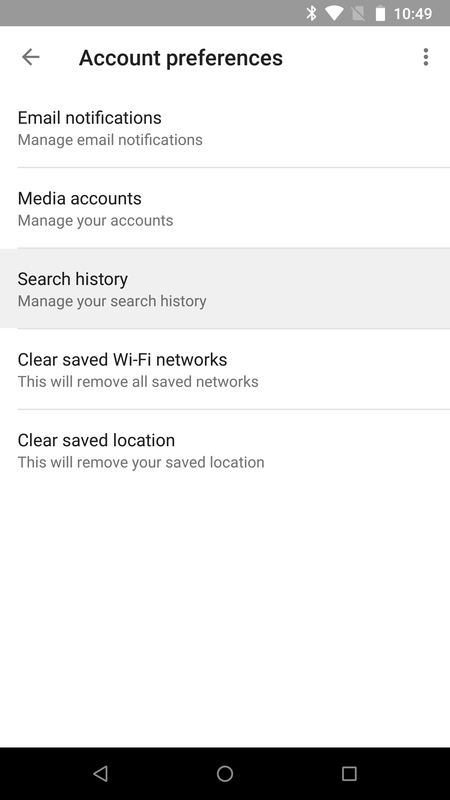 Finally, the account preferences screen – accessible from the navigation drawer – now has a new entry for search history. 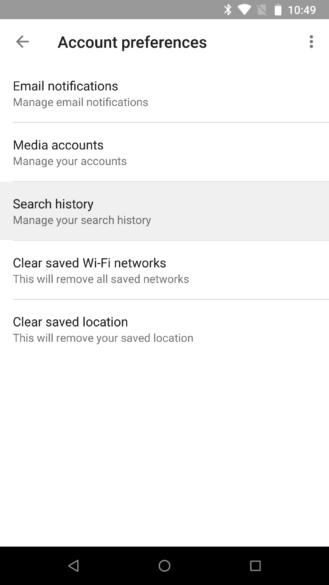 It leads to a screen with a single action to clear your search history. I feel weird even including this, but I'll throw it in for laughs. There are three "hints" about upcoming device codenames. 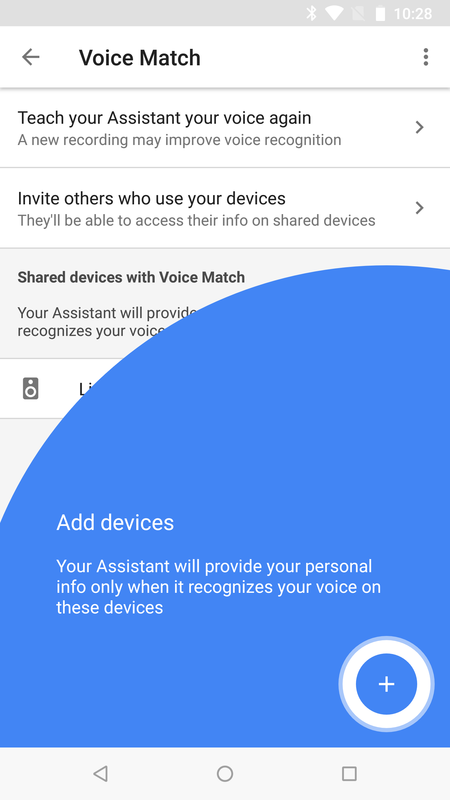 Based on the names of some placeholder strings, three new devices are in the works, and their codenames begin with the letters: G, M, and S. Yes, apparently codenames are special enough that even they have to be leaked in small doses. This is getting too meta even for me. 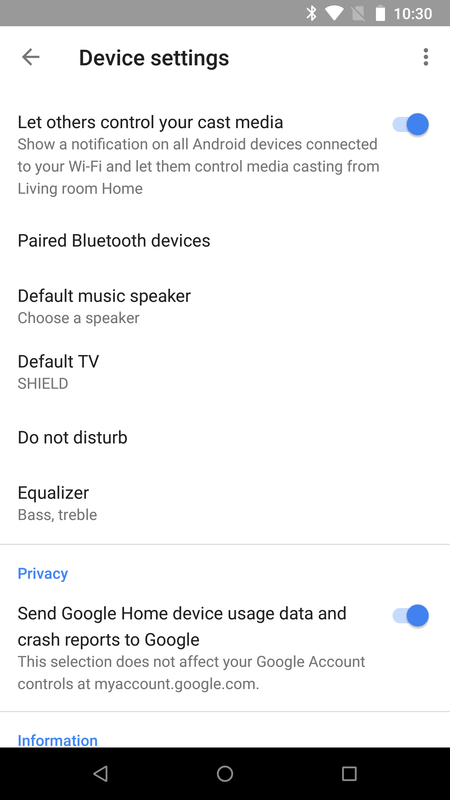 For comparison, here are the similarly named strings for the Google Home Max and Mini, codenamed Biggie and Joplin, respectively. 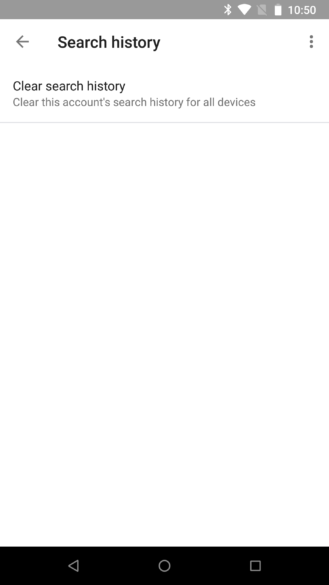 Notice how the first letter of each codename appears in the string name. Yep, that's what we're talking about. If I were to make any guess, it's that these new devices are probably smart displays. That's just the most timely product, and there aren't any signs of other Home-oriented products on the horizon at the moment. Beyond that, I don't think there's anything else to be said about some placeholders and a few letters. Some devices are designed with the intent to allow them to be flipped upside-down, or in some other way reversed. If something about their controls relies on direction, perhaps the way you swipe across or twist a knob, things can get a little confusing when the hardware isn't in its natural orientation. 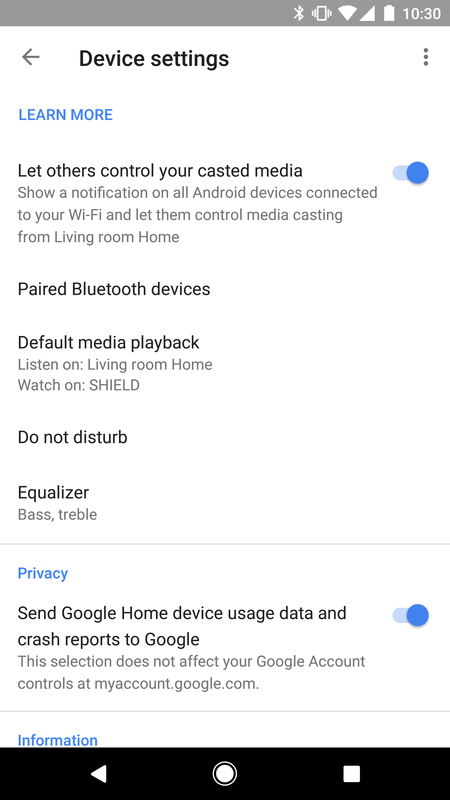 Judging by a couple of new strings, Google will be allowing users to flip the controls on certain devices that can be mounted differently. The text only references flipping LEDs and volume controls. 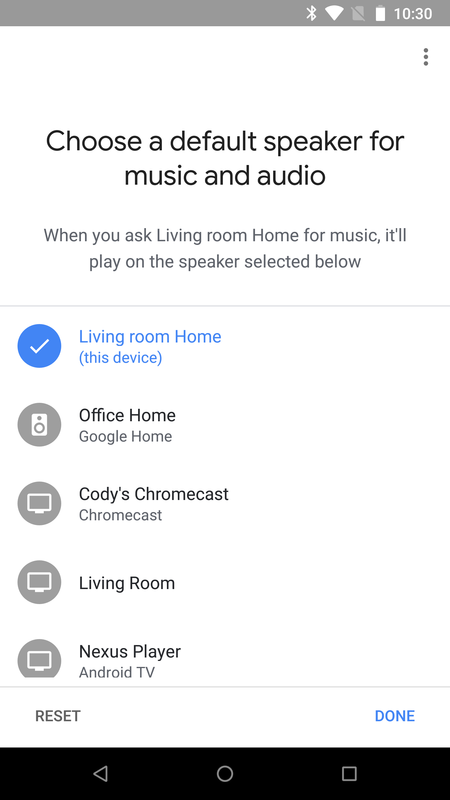 Since the original Google Home and the Home Mini aren't really designed to be flipped, I doubt this relates to them. 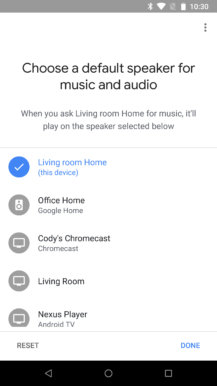 Update: It seems to be live for the Home Mini. – Thanks, Anthony Maki. 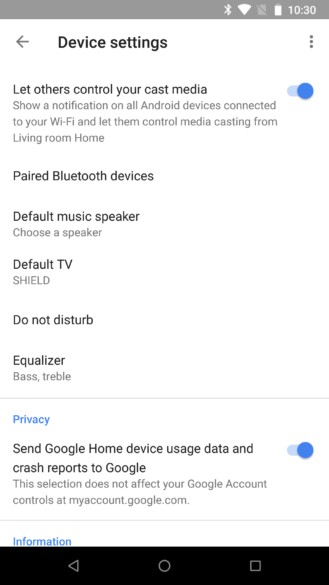 It might also be a setting for the Google Home Max. 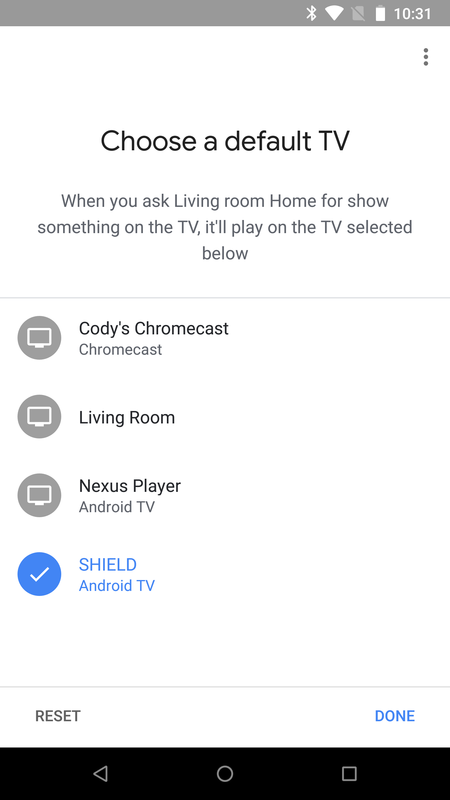 If you happen to have a Max laying around, it might be worth looking for this option. Note: It's possible this requires newer firmware. Another possibility is that there are other new devices in development that will have reversible controls, possibly one of those hinted at above. Regardless, at least Google is thinking of the people that want to flip their controls.